Danfoss APP pumps are designed to supply low viscosity and corrosive fluids under high pressure, e.g. in seawater reverse osmosis filtration applications and for high-pressure salt water pumping. 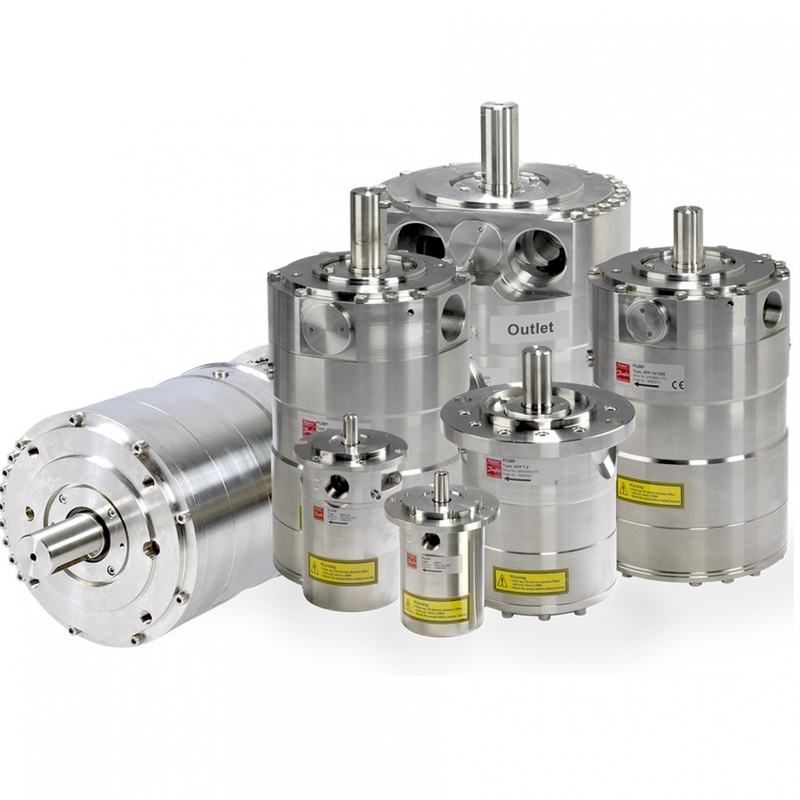 The pumps are based on the axial piston principle enabling a very light and compact design. The design ensures that lubrication of the moving parts in the pumps is provided by the fluid itself. No oil lubrication is thus required. The pumps are fixed displacement pumps in which the flow is proportional to the number of revolutions of the input shaft and the pump displacement, regardless of any counter-pressure. The pumps are supplied with an integrated flushing valve that allows the salt water to flow from inlet to the outlet, when the pump is not running. Do you have any questions about 180B3046 Danfoss APP 2.5 Salt Water Pump?